The states of Andhra Pradesh, Telangana and Maharashtra celebrated Godavari Pushkaralu in a grand way in 2015. This year the govts of Andhra Pradesh and Telangana are making all the necessary arrangements to celebrate Krishna Pushkaralu in the grandest way starting from August 12th, 2016 to 23rd August, 2016. If you want to about Pushkaralu, you can find it here. Once in every 12 years, Pushkaram of River Krishna is celebrated when Brihaspati (Jupiter) enters the zodiac sign of Virgo i.e Kanya rasi. The planet remains in this zodiac sign for the whole year and the 1st 12 continuous days are important and celebrated in a grand way as Pushkaralu of the river. River Krishna is the fourth largest river in India. It is also known as Krishnaveni or Krishnamma. The river flows in the states of Maharashtra, Karnataka, Andhra Pradesh and Telangana. 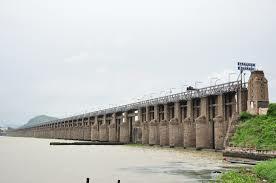 Krishna river originates near Mahabaleswar in the Western Ghats in Maharashtra. It flows through Karnataka, Telangana and Andhra Pradesh and finally empties into Bay of Bengal (sea) at a place called Hamasaladeevi near Koduru in Andhra Pradesh. River Krishna forms the one of most fertile deltas of the country before it flows into the sea. Bhima andTungabhandra are the major tributaries of Krishna. The govt of Telangana have announced the dates for Krishna Pushkaralu. They are making elaborate arrangements for celebrating the festival in the grandest way at various places where river Krishna flows. Krishna Pushkaralu Dates: 12th August 2016 to 23rd August 2016. And in Nalgonda district Nagarjunasagar, Wadapally in Damaracharla Mandal, Mattapalli, Utlapalli, Adavidevulapalli and Mahankaligudem are some of the places of pushkaralu. The govt of Telangana has constructed several Pushkar ghats at various places along the river banks for the convenience of the pilgrims. They have take holy dips and perform rituals / pushkara poojas at these ghats. Strictly adhere to 'Swach Telangana'. Do not throw the pooja wastes and garbage in and around the ghats / river waters but try to keep the surroundings neat and clean. Use the dustbins arranged by the govt and help the govt workers to carry out their work properly. Avoid crowding and pushing but stand in lines to get into the rivers for a holy dip when it is your turn. Take care of children and old people. Always accompany them when they get into the river.